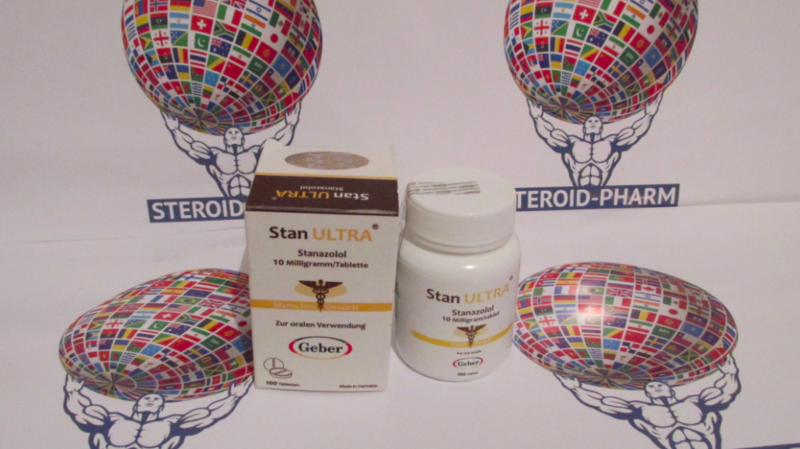 Stan Ultra - highly anabolic steroid, has gained great popularity in various sports, in particular in bodybuilding, has a rich arsenal of positive properties and qualities. 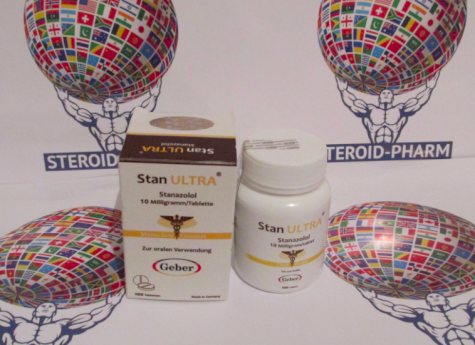 The active substance of the drug is stanazolol, with micronutrients attached to it, which increase the steroid half-life from 9 to 12 hours - this is an innovation in the production of anabolic steroids, which so far is not so common, and is the development of German pharmacology scientists, the company Geber Pharmaceuticals. The mechanism of action of stanazolol, is a significant increase in protein synthesis and the accumulation of nitrogen in muscle tissue. In the pharmacological industry, the drug appeared in 1959, first used in human medicine, namely in the treatment of osteoporosis, atrophy of muscle tissue, recovery from surgery and burns, was attributed to children with growth retardation, and also most effectively manifested itself in the fight against anemia , Since the most important function of stanazolol is production and an increase in the number of positive erythrocytes. Winstrol does not have androgenic activity, and therefore an imbalance between hormones is excluded. Therefore, the body does not need to aromatize the substance in estrogen, and this in a larger way positively affects the effectiveness of the reception, since side effects like gynecomastia, water retention and fat accumulation of the user will not affect. Proceeding from all this, the preparation is excellent for courses on drying and in a set of pure dry muscle mass, it is completely harmless and can be used by beginners as a first course. How to take it right? The manifestation of synergistic qualities in relation to other steroids, makes it an excellent component both at the beginning of the course as a start-up and at the exit from the course, as a closing steroid. One way or another the camp ultra works perfectly both in a pair and solo. He corrects the result in the mass-gathering course, improving the quality of the typed muscles and softening the phenomenon of recoil. Dosages usually range from 30 to 50 mg per day, the course lasts 4-6 weeks after which a break of 1.5 months is taken with the reception of Tribulus at the end of the course. Take the Ultra Ultra in the morning before eating, on an emergency. Doses in the range of 40-50 mg should be divided into two doses - in the morning and after dinner. The effective dose for athletes can be - 15-30 mg per day. The main problem areas that can be negatively affected by stanazolol are the liver and the hypogalamo-pituitary-gonadal system. When taking stanazolol in large doses, mild hepatotoxicity may appear, but it is quite small and easily eliminated by the use of hepatoprotectors during the course.